When Petrohawk, an oil and gas exploration and production company, formed in 2003, analysts assumed that it was conceived as an acquisition target. Petrohawk's CEO, Floyd Wilson, had already built and sold two other energy outfits, so it seemed likely that his new venture would be on the bidding block soon enough. But about 1 1/2 years ago it found a way to tap the Haynesville Shale, a lucrative natural-gas play that until then had been too difficult to access. Petrohawk now controls more than 300,000 acres of land on top of the gas field and has throttled up production. "I don't see this company being sold anytime soon," says John Freeman, an analyst at Raymond James. Petrohawk isn't alone in discovering big new fields of late -- one reason gas prices have plummeted. But it stands out for its efficiency and for the fact that its production costs are low. Many producers, burdened by higher costs, have responded by trimming production. 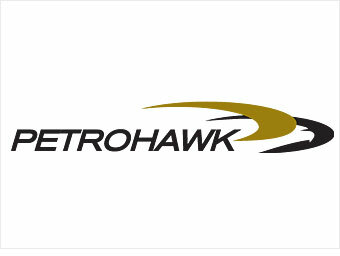 Petrohawk, by contrast, hopes to boost output by 43% in 2010. To hit that target the company plans to spend $1.5 billion next year, up 32% from this year. That's an ambitious goal, exceeding Petrohawk's projected cash flow by $900 million, and some investors fear the company will issue more shares to raise capital (something it has done in recent years). In November, however, CEO Wilson announced plans to divest a potential $1 billion in less important assets and swore off the notion of issuing new stock. Petrohawk still trades at a premium: 30 times next year's earnings, about a third higher than the mean in its sector. Barclays analyst Jeff Robertson says it's well deserved. "Their premium reflects expectations," he says. "By far, they have the highest growth rates among small and midcap companies." * Price/earnings ratios based on estimated 2010 earnings.